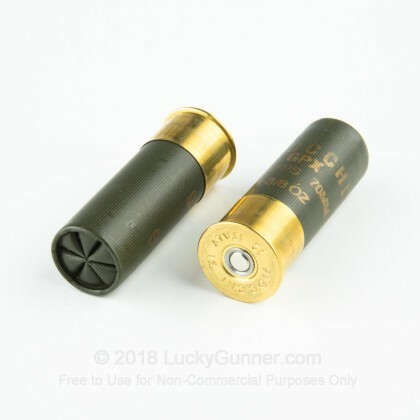 The 12 gauge has been around since the 1870's, providing shooters with the phenomenal, close range firearm needed to hunt, sport shoot, and defend themselves. 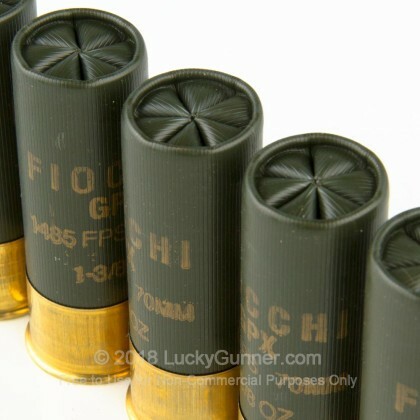 Used extensively in law enforcement, the military, and all realms of the civilian world, the 12 gauge is one of the best, most versatile firearms. 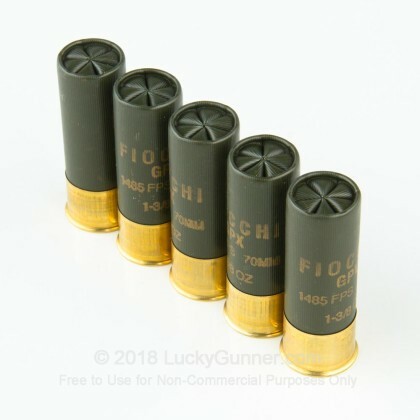 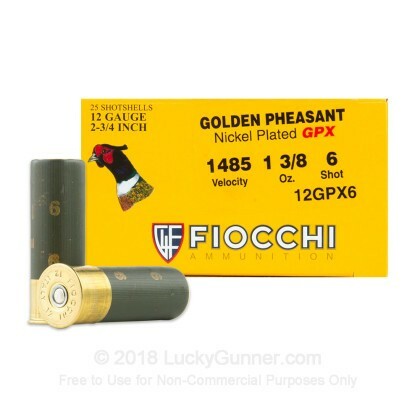 Fiocchi has been around since around the same time the 12 gauge was invented, and as the oldest firearms and ammunition manufacturer in Italy, they make some of the best ammunition in the world. 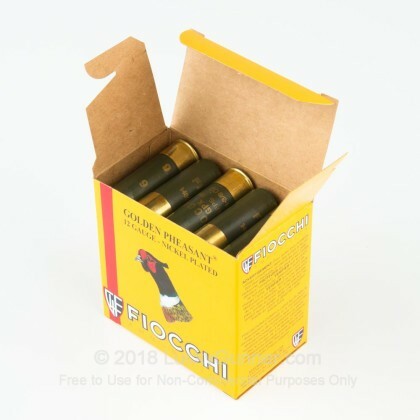 These Fiocchi Golden Pheasant shells are perfect for bagging the delicious birds of the American fields. 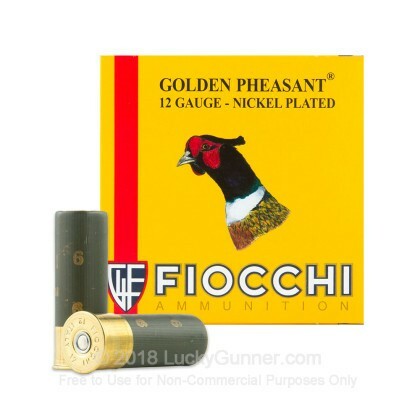 With this 2 3/4", 1 3/8 ounce, #6 nickel plated GPX shot from Fiocchi, you have the hard hitting, phenomenal pattern, superb shotgun ammo you need to be an amazing pheasant hunter.